If you have a big dream, soon it will be challenged. Great people always receive violent opposition from mediocre minds! Very sad, but true. Some of us tend to be selfish in our ways; wanting success for self but never for anyone else. 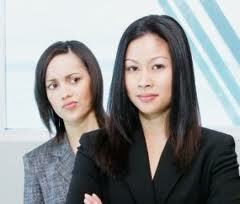 This tendency often leads to envy and jealousy toward the successor. I'm sure we've all experienced this at some point or another. But why is this the case? The answer is actually quite simple. People tend to always see the end results, the fruits of someone's labor but never what the person has/had to endure to get to where he/she is at present. I do believe that if people are to conduct a personal introspection of their lives and reassess themselves in the context of what they're trying to achieve for themselves, it will give them a perspective on what others are enduring to achieve their goals. Quite often rather than approaching a person and conversing with them, we are quick to talk about them. Rather, great minds will complement a person if they've found that that person is doing something great. At the same time, they may even choose to emulate in some ways what that person has done, or is doing. This type of reaction/action tends to foster harmonious relationships, and in some cases serve as a motivating factor for others to step up their game. There is enough success around for everyone to get their piece of the pie. Rather than expend more energy talking negatively about others and what they're doing, approach that person if you can and tell them how much you appreciate what they're doing. This can often lead to the nurturing of another great mind, that if left alone can wander into counterproductive negative behavior rather than positive behavior. We are our brothers and sisters keeper.. Or, as a great American poet once sagaciously said, "no man is an island." I believe this to be true because there is always something to learn from another which can help to enhance what is already done, while at the same time nurturing a great mind, and who knows a potential life changing relationship with another person. Well said! This is very true. If only we will take time to talk to each other rather than talk about each other, what a difference it would make. Our selfishness contributes to disharmony and confusion among us.